F model: fixed swan neck towball. SF model: fixed flange towball. GRIFO model: fixed hook system. GM model: height adjustable fixed hook system. SF(M) model: fixed mixed system. 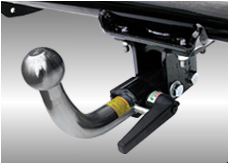 The swan neck towbar (F Model) is the most common fixed towbar in Europe. It’s popularity is due to its neat-looking appearance; it has a very slim profile that reduce the risk of parking system trigging. The fixed flange towball (SF Model) is the most common type of towbar in the UK. The towball is boilted to the towbar, which is permanently attached to the vehicle. 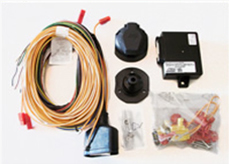 You can visit the HOW TO section to consult our video towing disposals.